The guest-house was completed in 2009. It provides seven attic rooms. The total accommodation capacity is 13 beds and 3 extra beds. 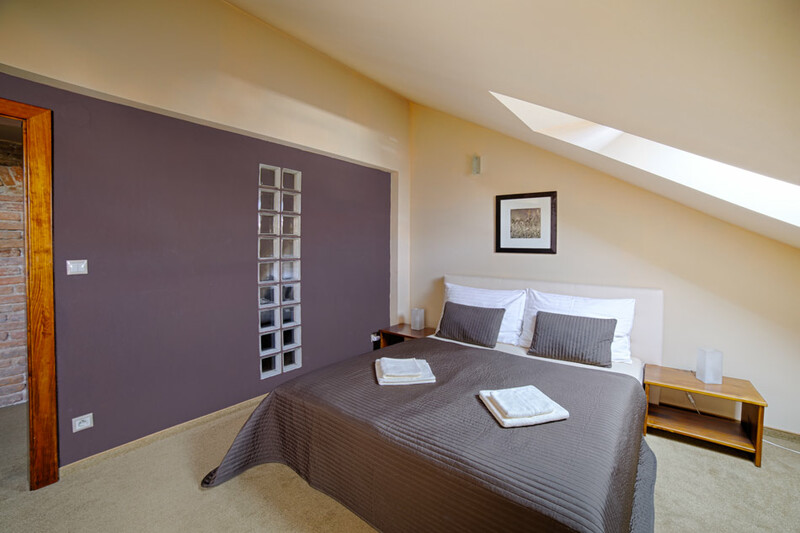 We offer the possibility of rooms with air conditioning. 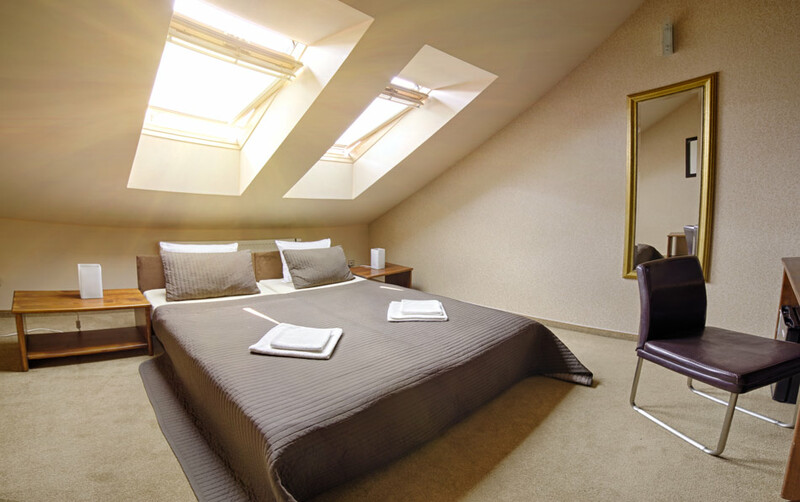 The attic rooms are located on the second floor without a elevator. 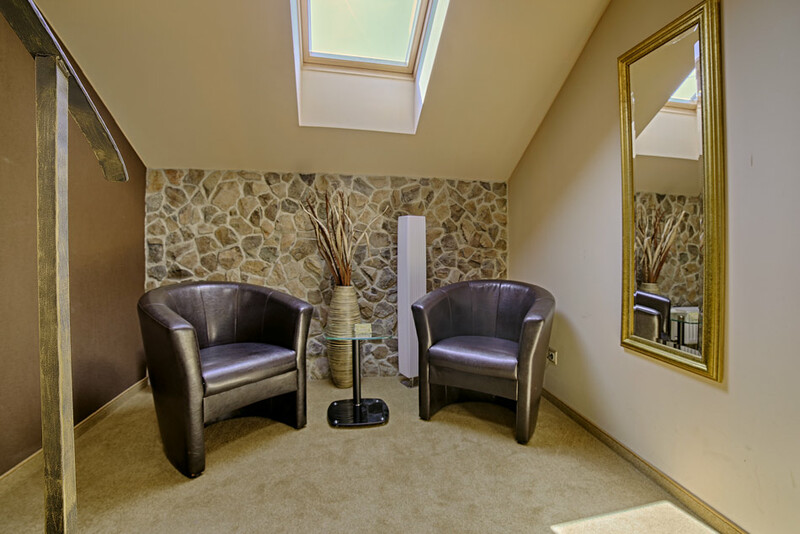 The entire guest house and rooms are nicely matched with warm colors, creating intimate, family atmosphere. Rooms are furnished with massive furniture, private bathroom and toilet. Each room has its quality mattresses, LCD satellite TV, minibar with chilled soft drinks and beer, and hair dryers for your complete satisfaction. Of course each room has access to high-speed, free WIFI access for your comfort communication with your business partners and your family. Special price list 3.5. – 26.5.2019 World Championship in Ice Hockey on request. Price including brekafast for 2 persons. Parking: The car park is protected by a camera system. Parking is paid. Discounted night parking card will be provided by our staff at the restaurant at departure.